The United Electric (UE) 54 Series offers the OEM a combination of reliable performance and low cost. Available in pressure and temperature versions, with single or dual SPDT outputs and enclosed or open frame (skeleton) construction, the UE 54 Series family provides design versatility. 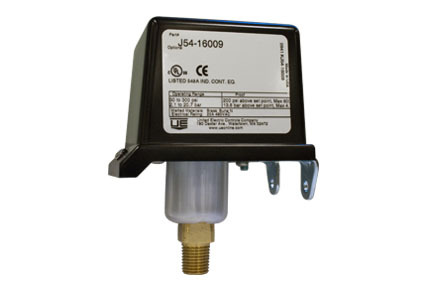 The UE 54 Series has been field-proven in a wide variety of OEM applications, including medical, laboratory, fire protection and heating equipment.